Dekline Santa Fe has some new Vegan colorways that look like you stepped in a bucket of bleach. The name of the shoe has already made me muse of train jokes and the bleached style just adds to that. I’m thinking grunge, something by Soul Asylum. Dekline has been making low profile skateboard shoes for years and always with a good Vegan selection. The Santa Fe features an all Canvas upper, very simple lines and minimal branding. The tongue is slim so is the collar. 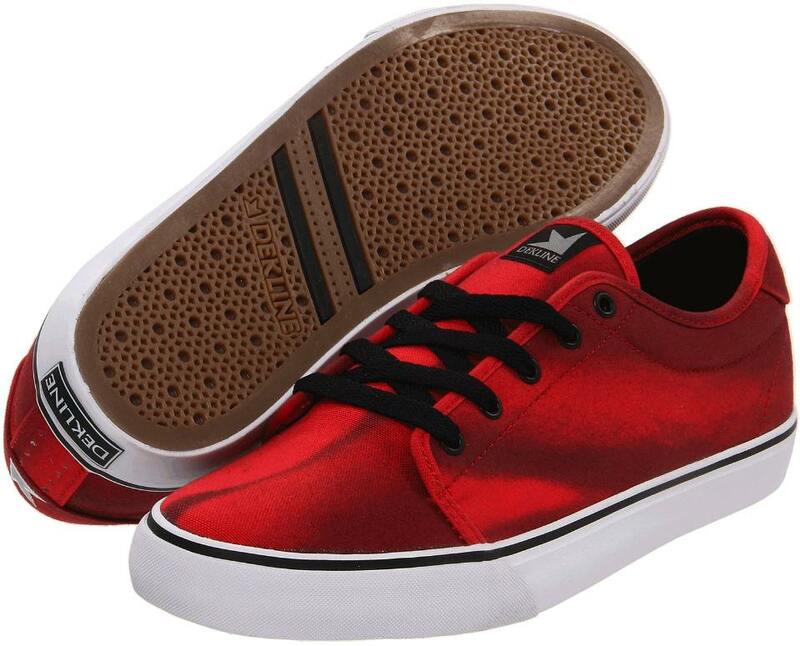 Vulcanized soles feature the classic geodesic Dekline style. These where a pain to track down, and find decent sizing. If you where average mens sizes and like red you are in luck.